Explore our selection of Newfoundland and Labrador gifts and find the perfect piece to suit your home and lifestyle. Find items saturated with our rich cultural history and heritage: jewelry, pottery, pewter, carvings, woodworking, artwork, literature and more. Explore our selection of Newfoundland and Labrador gifts and find the perfect piece to suit your home and lifestyle, saturated with our province's rich cultural history and heritage. Our Water Street location offers a large selection gifts such as: labradorite jewelry, fine art reproductions, pottery, woodworking, carvings, knitwear, local publications, and more. You can also find Newfoundland and Labrador food items such as teas, coffees, preserves and seasonings, attractive t-shirts and pullovers, and essential souvenirs such as postcards, mugs and magnets. Located in the heart of downtown St. John's, our Water Street location offers the best selection of handcrafted products and locally made gifts. 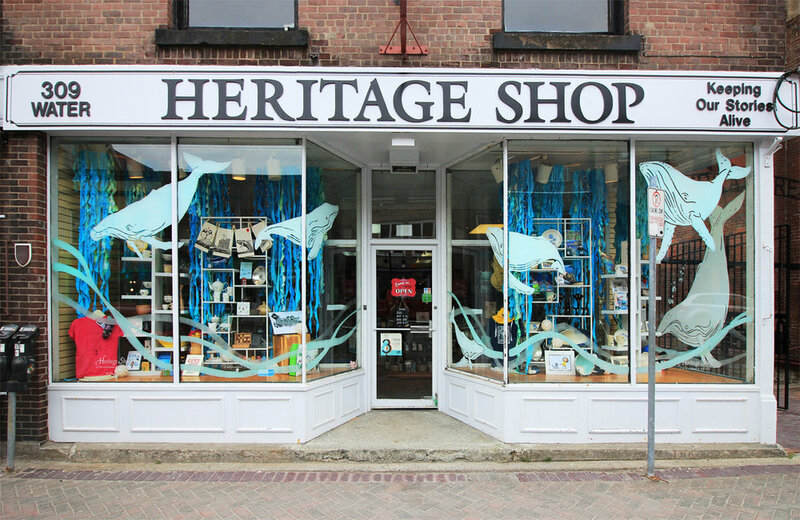 Conveniently located near the St. John's Convention Centre, downtown hotels, local restaurants, and George Street, the Heritage Shop on Water Street is a must visit location for any outing downtown.